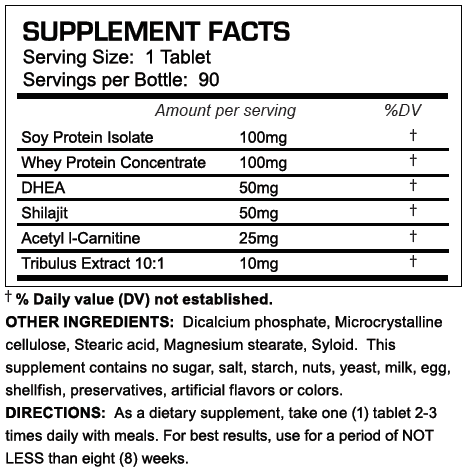 SKU: A-Drol Categories: All-Natural Bodybuilding Supplements, Legal Steroid Alternatives, Buy Legal Steroid Alternatives, Which Supplement Is Right For Me? A-Anolone is the 100% all-natural alternative to Anadrol (ADrol). A-Anolone is a great stacking formula but is powerful enough to be a stand-alone product. 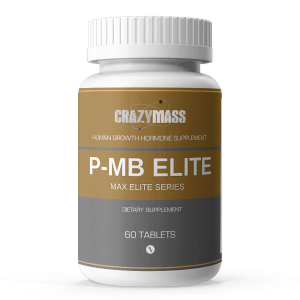 This potent anabolic all-natural formula increases the production of red blood cells and delays fatigue. Increased oxygen transportation will give mind- blowing pumps and allow you to stack on the muscle. Get the benefits of Anadrol without the nasty side effects! 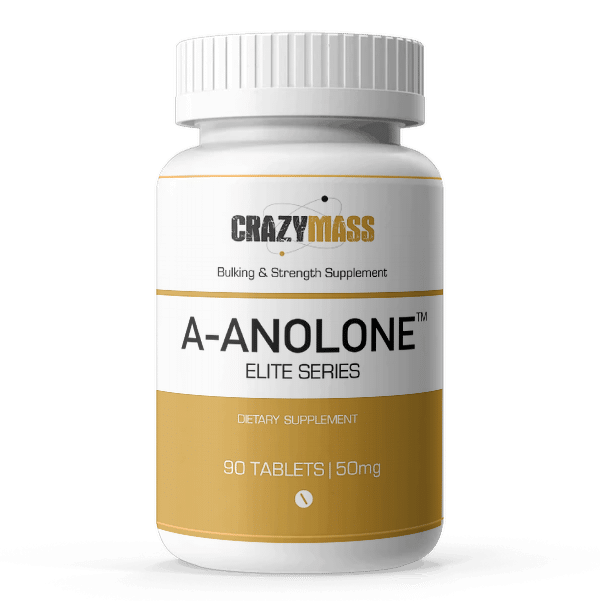 One of the most popular anabolics on the market today, CrazyMass A-Anolone Elite Series was created to boost endurance and increase the gains you get with hard workouts and a proper diet. This all-natural bodybuilding supplement mimics the effects of Anadrol without the harmful side effects. 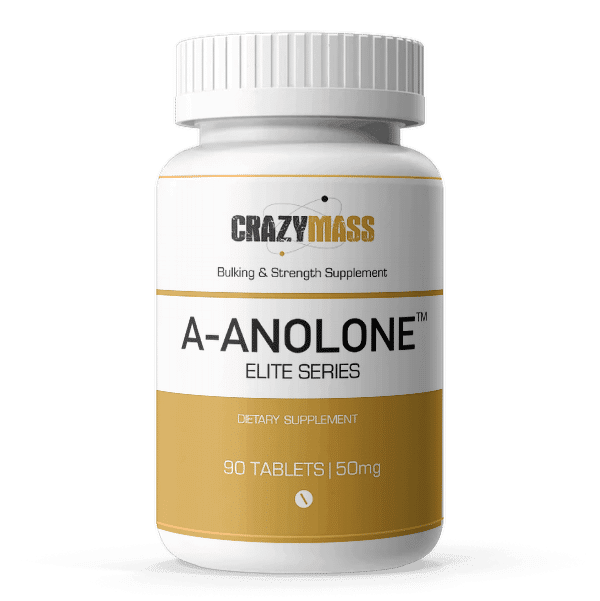 A-Anolone Elite Series complements ALL of our CrazyMass bodybuilding stacks. Ingredients include Calcium (from dibasic calcium phosphate) Soy Protein Whey Protein DHEA Shilajeet (stone) Extract (asphaltum) Acetyl-L-Carnitine, Tribulus Terrestris (fruit) Extract, Cellulose, stearic acid, croscarmellose sodium, silicon dioxide, magnesium stearate, ethylcellulose. Have used this for years and love it. Great increase in strength and size. I use this as a stand alone product and take two in the morning. Works well so far. Halfway done with the bottle can’t say too much about it. I tried this product by itself under the recommendation of a close friend. I’ve been on two cycles gaining 15 lbs. of lean muscle. I’m at the gym 3-4 times a week and adding HGH and d-bal this month. Thanks for this product, its the first supplement I’ve ever taken. Have used this for years and love it. Great increase in strength and size. I use this as a stand alone product. Works well so far. I popped in four of tablets before my workout this morning and I was on FIRE! I can only speak from experience…..great product! Cannot say enough good things about this. This is the perfect supplement with D-Anaoxn. I’m lifting 50% over my best set of weights in less than two weeks. I’m ordering the bulking stack and will let you guys know my results in a month! Almost a month on it. Have dropped some fat, but not quite what I read it was. Still gonna stick it out, definitely not dissatisfied with it. Have used this product for years and always loved it. Good stand alone supplement.Feel stronger, and greater intensity in workouts. Some of my gym mates, who are on this, feel like this is an engine booster. I recommend this without reservations. You can take it two to three times a day. I currently do twice a day. 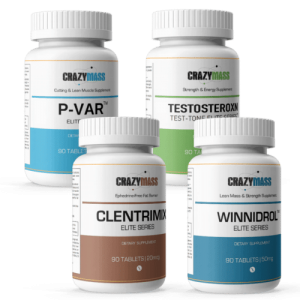 I have tried this with all other Crazymass products and have worked well. I am currently only using this for now. The buy two and get one free keeps me set for three months. Recommend this product with no reservations. I can only speak for myself. There are no side effects. Unbelievable product! Every exercise I do I can add one or more repeats with same or more weights.